Is Your Goal to Paint Photorealist Images or your Learning Process? On my Facebook group Pastel Artists Uk some amazing conversations regarding all aspects of the artists life take place. The issue of photorealism is a current hot topic; in fact it is always a hot topic. This post is not about pro or against a style of painting. There are far more interesting issues. Photography is very much a part of our world and our use of it is important as artists. So what is photorealism? And why is it so contentious? In short it is artwork which is as close as the artist can get to imitating the role of the camera – a photo realistic rendition of a subject. The opposite of photo realistic work might be Impressionism – an ‘impression’ of reality rather than a photo realistic copy. Now as an artist and a tutor I have a pretty broad opinion on the subject; one which comes with age and experience. Largely the issue seems to have been seen as cut and dried. You are either a fan or your not. You are a photorealist or your not. But it isn’t that simple. The issue of photorealism is part of all artists experience. Above: Monet – Bridge at Argentuil Right: John Singer Sargent – Lady Agnew of Lochnaw 1893 On the surface these images look ‘real’ but neither are photo realist. They are both well known paintings which are considered Impressionistic. 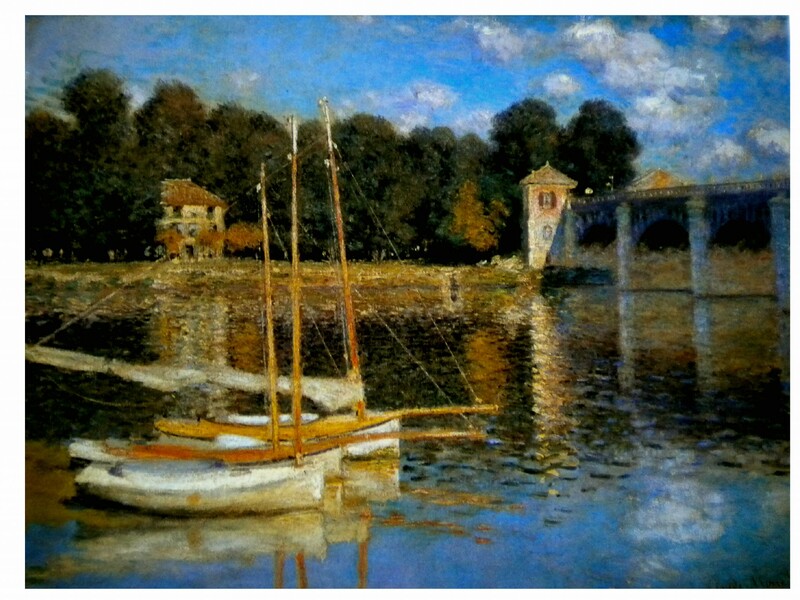 Monet and Sargent were good friends and often painted together although their subjects were different. Some would say ‘realism’ is in the eye of the beholder? In this case mine. I was a child artist and not from a family of artists. What I learnt was from experience -and I can’t even think of any books that taught portrait techniques back then, but I was not in the ‘art world’. So what I had was a passion to do portraits and no way of learning how to do them other than from copying from art books of great masters, and trying to do a half decent job on my favourite pop stars from photos in teen magazines. My father and the rest of my family loved to encourage me. I found out early on that approval came from my work ‘looking just like a photograph’! At that time – 13/14 years old I was OK with that. They were adults, and knew better than me (even thought they didn’t of course). Meanwhile I had a mini teenage ‘career’ capturing ‘amazing’ likenesses of my favourite people. So on I went – getting better and better at making my portraits look just like the photograph – and eventually with time and practice I developed something more of my style and approach to my work. But this happened gradually over a few years and almost without my noticing it. I was also by that time researching my favourite artists and being influenced by them – which is inevitable. ( That meant trips to the library of course) Dad was still encouraging me along a photorealistic path – ‘Great darling – looks just like a photograph’, and I began to feel ‘unsatisfied’ with what I was doing. That was not my aim. I’m not sure I could have told you what my aim was at the time but it wasn’t to just look like the photo. He thought Canelletto was the greatest artist ever (his work is very photographic) but I preferred Monet, and Van Gogh and Rembrandt. But I was severely limited to what I could learn from books I could access as a 13 year old. 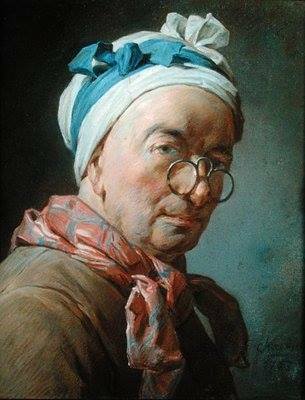 Later on in my research into Pastel I discovered the great French pastelist Jean-Baptiste-Simeon-Chardin along with so many others – whose work remains an influence to this day (portrait below of Chardin – his self portrait). 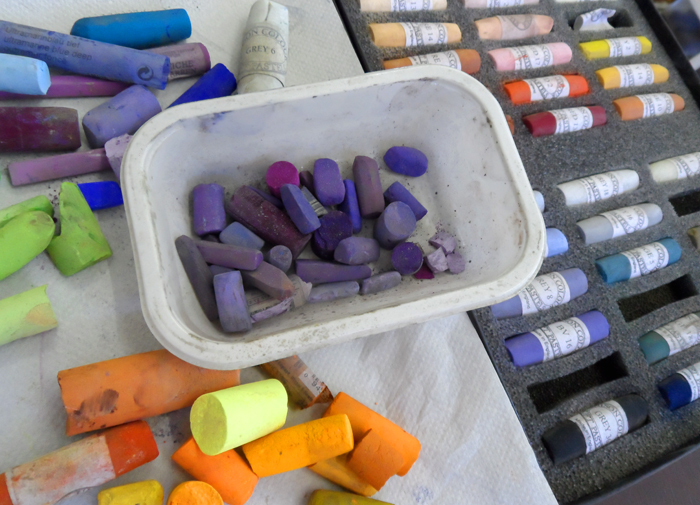 Probably one of the first to not use a finger blended approach to his pastels. His work is a total tapestry of light; made up of a huge variety of marks in colour. Click on the photo to see it in a lightbox. Without my passion to get the painting as accurate as possible I would not have been able to develop to the artist I am today. But the thing is – I recognise now that chasing photographic accuracy was part of my development and once the skills developed – I gradually moved on; a natural development. It is very difficult to paint the same way – exactly the same way – for 40 years! In fact were that the case I would have wanted to give up 39 years ago. But in fact that is part of the idea behind photo realistic painting; to reach photographic perfection, and once that stage is reached what is next? It is good to remember that chasing accuracy to photographic levels for most artists is a skill building exercise. It is up to you to decide when to move on to other skills and levels of development; or whether to become a fully fledged card carrying photorealist. A budding portrait artist can find it confusing, because of the added complication of capturing that all important likeness, which is all about accuracy of drawing. Believe me when I say that capturing a likeness is rarely just to do with photographic skills. Ask yourself this – think of your favourite artists – and I don’t mean those posting on the same Facebook groups as you – but some of the great masters ( I refuse to say ‘and mistresses’!) of art, how many are photorealist? Your favourite artists are a clue as to the artist you might become. 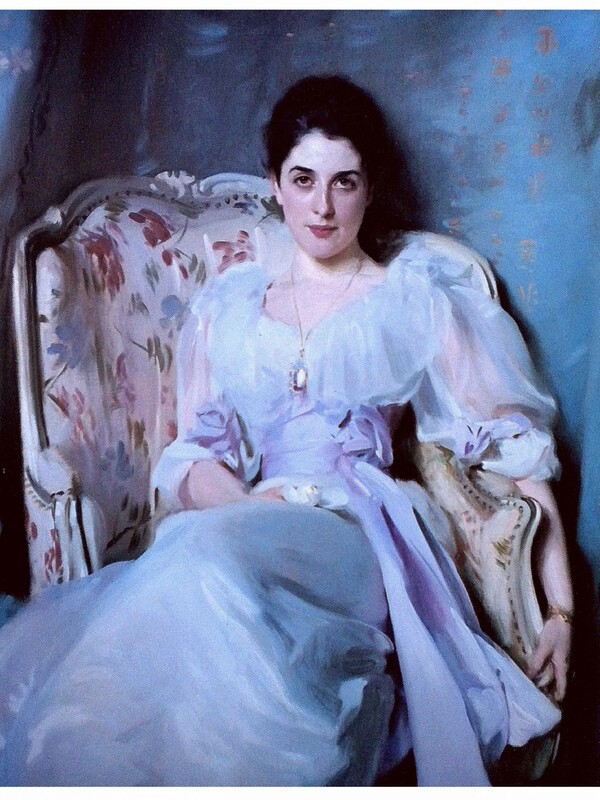 Now many years down the line – I still love Monet and Sargent and Rembrandt, and a whole realm of fabulous women artists which until 1990 I didn’t know existed . My opinions are not just shaped by my own artistic experience but by my life as a tutor, and increasingly more as a mentor. I think as a tutor and a mentor. When someone posts on my Facebook group I respond and react as a tutor and a mentor, and I do it without thinking because I am passionate that the information on Pastel Artists UK is as accurate as possible, for the benefit of the group member, and for pastel. So what do I think of Photorealism and artistic learning? This is the crux of the matter for me. My stance on photographic realism is that too many beginner artists think that is where the ‘art’ is. The ‘skill’. It is just one small part of the success of a portrait. If you a passionate to learn those skills, with practice the chances are that you will. But beginners confidence can be very fragile. When I think back I didn’t develop my skills in the same world as Facebook, where every day budding artists log on and see a lot of work – good work – some really good. That can be demoralising on a daily basis when you are a beginner. But that apart, my real issue with photorealism is the idea that producing work which is a photographic likeness is the aim of the game. Even in portraiture it is so much more than that. Such skills in artists did exist before cameras were ever invented of course – when the realistic skills of artists was the first consideration; that is what artists did, but with the invention of cameras, the need for artists to chase photographic accuracy diminished. So in an ideal world for me – beginners would be inspired by nature rather than photorealism. Well I did say ‘ideal’ lol. It is of course all down to the kind of artist you want to be. Artist or Artisan. Luckily, like you handwriting, your artistic style will emerge out of your own particular character and personality – for good or bad! So I have an awkward relationship with photographic realism. Like anyone I can admire some of the skill, but I personally prefer a non photographic approach; I don’t feel the need to compete with a camera lens, because with experience I realise that photos are all too often lacking – especially in the kind of ‘light’ I portray. I can only get that from studying nature. But as a tutor, I am all too aware that the issue is a more important one than mere ‘I like’ or I dont like’, or whether it is or is not ‘our style’, it also touches on how we see ourselves as artists – and how we measure ourselves against a camera lens and also against each other; beginners especially; those most vulnerable to having confidence issues. So realising that sweating over the details is a valid part of your growth process might well be the time you too will realise that artistic development may well take you through many stages, not just this one. It can be quite a ride! Feel free to add your thoughts on this blog in the comments below. It is an interesting subject, and I know it affects many of you. I would very much appreciate it if you would leave a comment/question below. It helps me to know how you see your own artistic development, aand the more people who engage in the subject – the more interesting it will become!